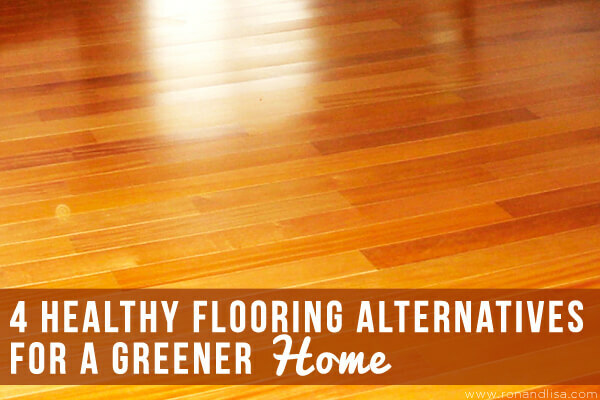 Flooring is a feature that’s easy to overlook when considering how to green your home. But flooring choices not only affect the environment—they can affect the health of your family. Carpet can harbor dirt and allergens that exacerbate asthma or allergies; both carpet and floor finishes can contain chemicals that off-gas and harm indoor air quality. To learn more about healthy, sustainable flooring choices, visit the Green Product Directory, a free, public resource for California homeowners. The Directory recommends certified products, and highlights green options for six different kinds of flooring products: bamboo, carpet tile, cork (read: Walk This Way: Cozy & Comfortable Cork Floors), hardwood and natural linoleum. If you do want to install new wood flooring, the greenest products are made from Forest Stewardship Council (FSC) certified or reclaimed wood. FSC certified wood comes from forests managed in accordance with stringent sustainable forestry practices. Buying wood products with the FSC logo gives you assurance that the wood came from forests managed in a way that protects the long-term availability of wood resources, the health of forest ecosystems, and the sustainability of local economies. a.) Low VOC carpet and carpet cushion. To limit chemical off-gassing from carpet and carpet underlayment, choose products that carry the Carpet and Rug Institute’s (CRI) Green Label Plus logo. b.) Recycled-content carpet. Recycled-content carpet is made from recycled plastic bottles (about 40 two-liter soda bottles per square yard), recycled nylon and wool, or recycled cotton. c.) Recycled-content carpet cushion. Carpet cushion can improve the carpet’s insulating properties, reduce wear from foot traffic and furniture, and help keep it looking good longer. Carpet cushions made from bonded urethane, jute, synthetic fiber or rubber are often available with a high recycled content. d.) Natural fiber carpet and rugs. Also consider natural-fiber carpet, such as wool, cotton, jute, seagrass, sisal, linen or coir. These materials are biodegradable and made from rapidly renewable resources. To eliminate the need for other flooring materials, the concrete slab can be polished, scored with joints in various patterns, or stained with pigments to make an attractive finish floor (Note: This is easier and less expensive to do when the home is first being built than as a remodeling project.) Concrete floors are especially appropriate for use with in-floor radiant heating systems and passive solar designs. Usually, a low-VOC sealer is all that is required for sealing and waterproofing the concrete. b.) If onsite finishing is required, use water-based, low-VOC products. Avoid alkyd and oil-based stains and finishes. d.) Encourage installers to saw and sand outside of your home as much as possible. e.) To protect indoor air quality, choose carpet products that meet or exceed the Carpet and Rug Institute’s (CRI) Green Label Plus requirements for VOC emissions. f.) Ceramic tile does not off-gas and has minimal indoor air quality impacts. Opt for setting the tile with portland cement–based thin-set mortar and grout rather than mastic glues and epoxy grouts. g.) Finish and maintain concrete floors with low- and no-VOC sealants and waxes. h.) Natural stone has no VOC emissions; however, if the stone will be sealed, choose a low-VOC sealant.